This young adult novel penned in the early 60’s is based on the eldest daughter of Sir Thomas More, one of King Henry VIII’s ministers who fell out of favor during the king’s marriage to Anne Boleyn. It is a simplified version of her full length novel titled St. Thomas’s Eve (republished as The King’s Confidante) but is not, as some listings file it, the same book. Chronicling the political career of Sir Thomas More, this story covers the controversy with religion, including Martin Luther and Henry VIII’s title of Defender of the Faith. It follows More’s family from their happy home at the Barge to their new home in Chelsea. When More becomes the most important man in the country, his family nonetheless stays the same, and as he prepares his self-sabotage due to his beliefs, he finds that the only thing he will miss in the world is his loving family. Mistress More, Thomas’s wife, is the heart of this story. Her personality and verbal quirks keep humor in an otherwise sad story, for all Tudor enthusiasts know what happens to the deeply religious and scholarly Thomas More. For anyone in doubt has only to look at the cover of the book, with a young girl carrying something round in her arms and being pursued by a rough looking man, to know something dark is coming. Another character who captured my interest is Mercy Giggs. I have read a novel about her, Portrait of an Unknown Woman by Vanora Bennett, which uses the mysterious John Clement, More’s defamation of Richard III and the painter Han Holbein (who painted the More family twice) to weave a very interesting story based on fact. Reading Plaidy’s version of the same characters is intriguing in that they aren’t much different, and are somewhat of a reminder of how much I have enjoyed reading the early Tudor era through the eyes of the More family. However, one example of a novel that creates a dislike of Thomas More for readers is Hilary Mantel’s original, Wolf Hall, and continuation, Bring Up the Bodies. The author needed an antagonist for her main character, Thomas Cromwell, and More was that, but she was rather harsh with his personality. 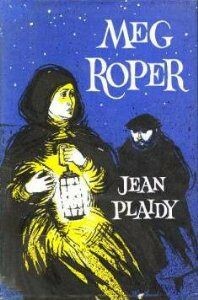 I believe Plaidy’s version to be more balanced with this particular character, but I did very much enjoy Mantel’s books–I just don’t wish anyone to forego reading St. Thomas’s Eve or Meg Roper due to fictionalized prejudices. 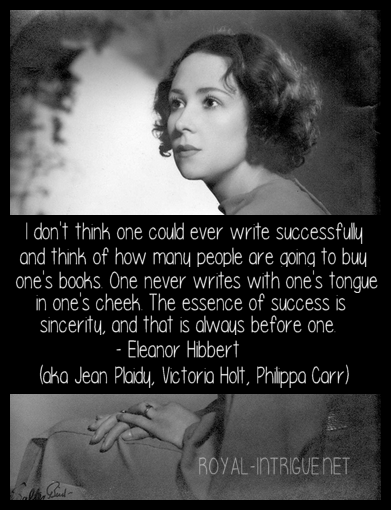 Now that I have read all three of Plaidy’s young adult novels, I can give an opinion on her writing for the genre. While I don’t believe she would captivate today’s teen readers, I believe she has simplified the stories enough to pique interest in Tudor history while not delving into too many details. Any and all mentions of relationships are left out. In this particular novel, although all five of More’s daughters (step and adopted included) are married in their teens, there is no “romance” in the pages. There is humor, kindness, serious discussion on political and religious matters, and just a peek into court life. I really enjoyed reading this hard-to-find novel, but I can understand why it has not been re-packaged and re-printed for today’s young adult audience. If you’re a Plaidy fan, you’ll love it!